Finding the right nursing home is a difficult endeavor. On-site inspections conducted by official state health professionals, in order to assess compliance with federal standards of care, is the best source of reliable information for comparing facilities. Our Nursing Home InspectorTM tool helps you make sense of these complicated inspection reports. Along with finding local facilities, our tool provides a platform to compare nursing home ratings such as deficiency ratings, staffing ratings, and resident condition ratings. Search for nursing homes near you and get the facts before choosing a facility. Download our nursing home checklist and be prepared to ask the right questions on your next tour. Nursing homes specialize in care for the chronically ill, people with disabilities, victims of Alzheimer's, and convalescent seniors. 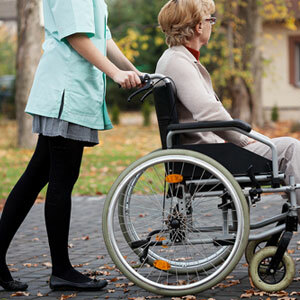 Although most nursing home residents are considered senior or elderly, young people may also require nursing home care. Nursing homes are available in most places and welcome patients who have numerous health care requirements and are unable to care for themselves. Skilled Care Facilities, Nursing Facilities, Rest Homes, Nursing/Rehab Facilities, Elder Care Homes, Adult Homes, and Homes for the Aged. 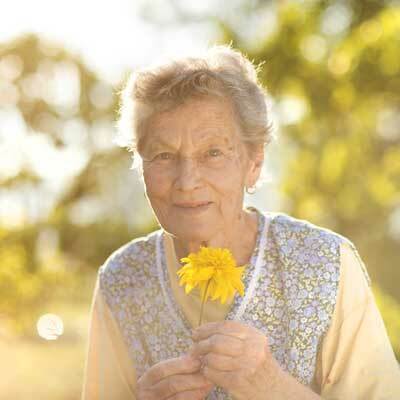 Nursing Homes are long-term care facilities that provide twenty-four hour skilled nursing, assistance with activities of daily living, and stimulating activities for the mind and body. Their goal is to integrate custodial care with nursing, psycho-social, and rehabilitative services on a continual basis. A resident's plan of care will differ based on his or her needs at the time of admission. Some residents will return home after a short rehabilitative stay following a hospitalization. Others may require care for an extended period due to the chronic nature of their illness or disabilities. Some facilities offer specialized programs for residents suffering from advanced stages of Alzheimer's or dementia. Nursing homes vary from institutional settings to more homelike residences. Nursing homes may stand alone, be integrated or near assisted living facilities, or may exist as a component of continuing care retirement communities. The living space may include private or semiprivate rooms shared with a roommate. Strict safety regulations are adhered to within these facilities to accommodate the physical and mental weaknesses of their residents. Many residents pay for the care out of their own private funds but some have assistance from long term care insurance policies. Still others may receive help with costs from state Medicaid programs when their finances are depleted. The federal Medicare program will cover limited rehabilitative services for a specified period of time when deemed beneficial to an individual's care. Medicare / Medicaid certified nursing homes are monitored by the state in the form on-site inspections and quality of care reports. These inspections are unannounced and conducted by official state inspectors who are health care professionals such as registered nurses and licensed social workers. A copy of each inspection report is sent to the nursing home after it is completed. If standards are not met, the nursing home must submit a plan of correction to the state. In some cases, a follow-up survey is made to verify deficiencies were corrected. In an effort to make nursing home ratings more available and understandable, we have designed an efficient tool for locating and evaluating each home's performance called Nursing Home InspectorTM. Our Nursing Home InspectorTM tool contains nursing home ratings by category and detailed information about every Medicare / Medicaid certified nursing home in the US. Nursing home ratings are critical in helping you determine the best facility for your loved one. Our nursing home reports enable you to quickly compare the performance of nursing homes in your area. If you already have a loved one placed in a nursing home and are unhappy with the care provided, this tool may help in locating good alternatives for relocation. 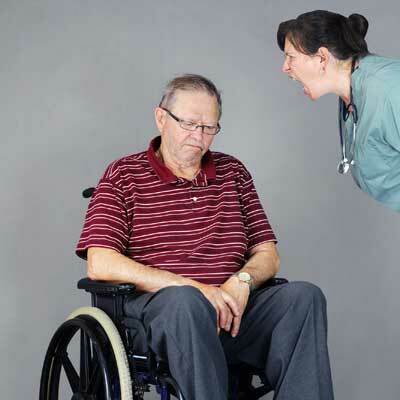 In addition, if you feel the quality of care provided at any facility has been poor, you may register a complaint with your Long Term Care Ombudsman and State Survey Agency for investigation.